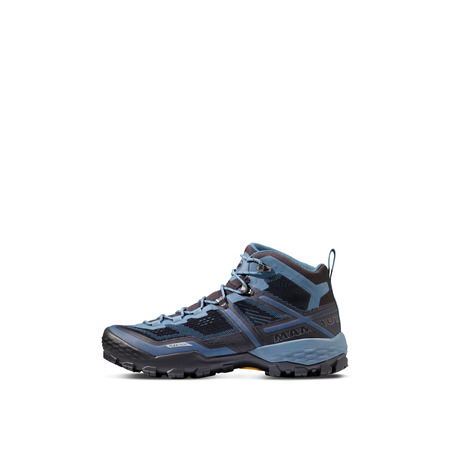 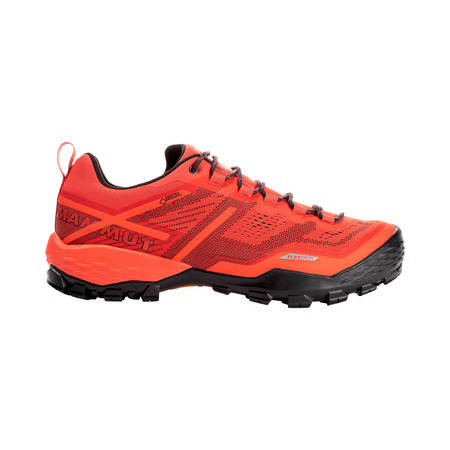 A super-sporty and agile hiking shoe for multi-day outings, trekking excursions or fast-paced hikes in the mountains, incorporating the benefits of cutting-edge production techniques. 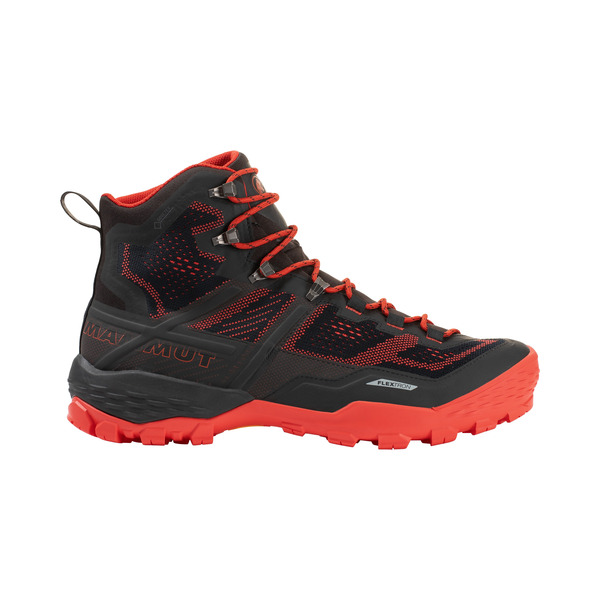 The core of the Ducan High GTX® Men is the Mammut Flextron technology which integrates a spring-steel sole as a midsole in the shoe. 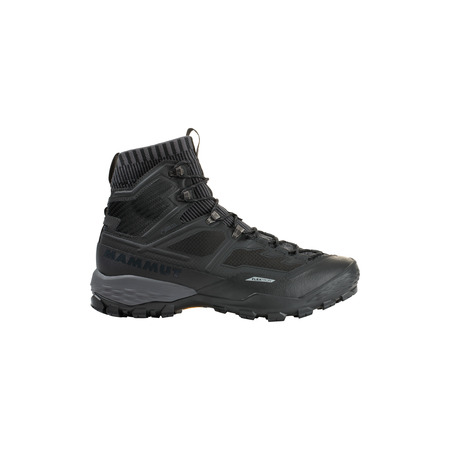 This prevents deflection of the foot while at the same time providing improved vertical support. 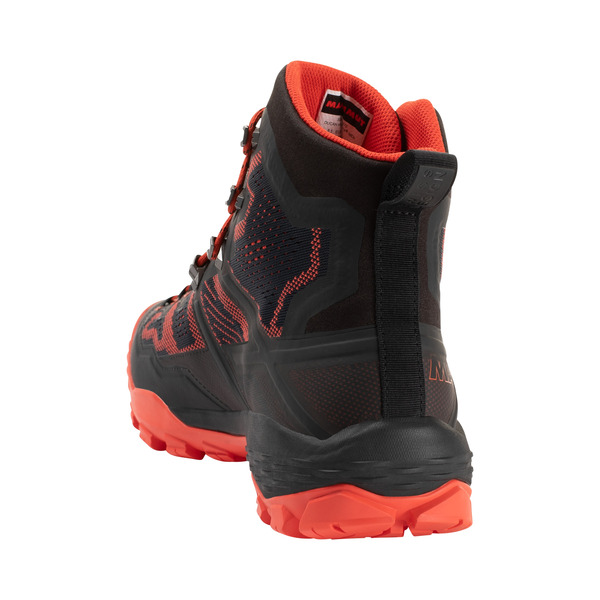 The result: more efficient use of energy on hikes and climbs. 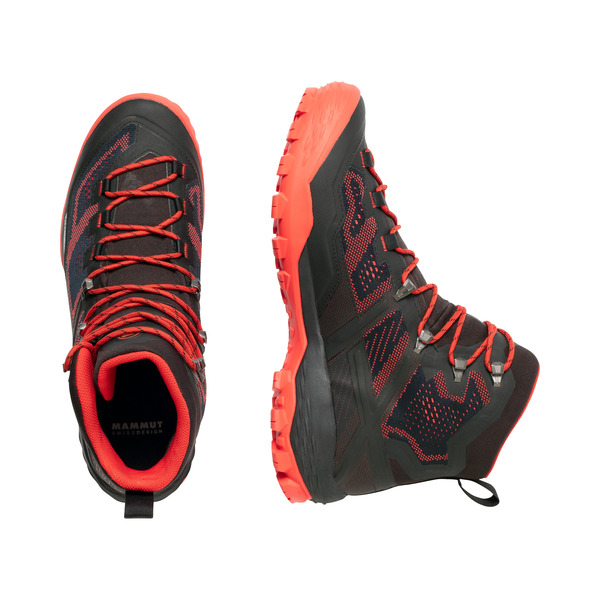 Mammut Georganic 3D technology ensures natural movement of the foot. 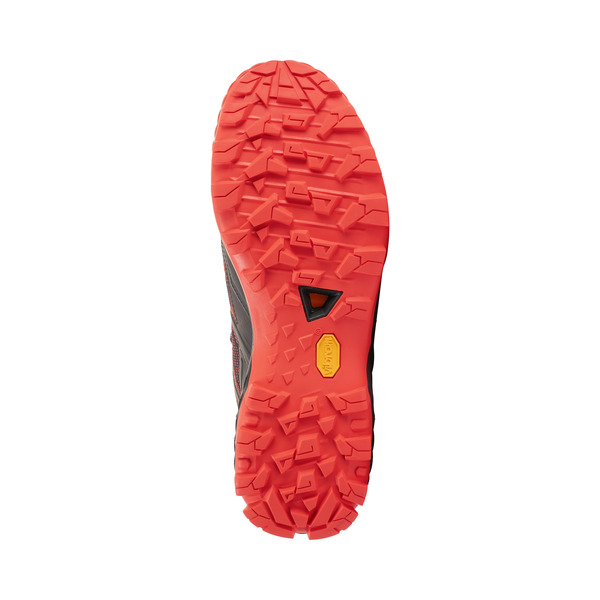 The geometric-dynamic design is combined with cuts tailored organically to the foot. 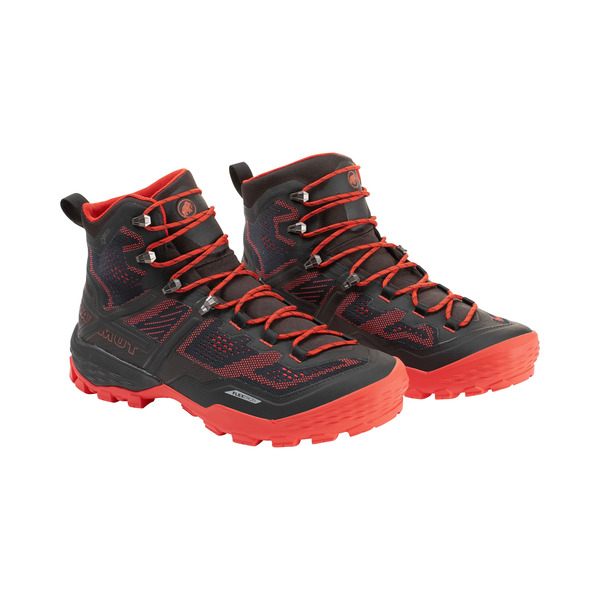 The focal point is the anatomical last which, together with the asymmetric lacing and mono-tongue for one-sided entry, provides a very good fit. 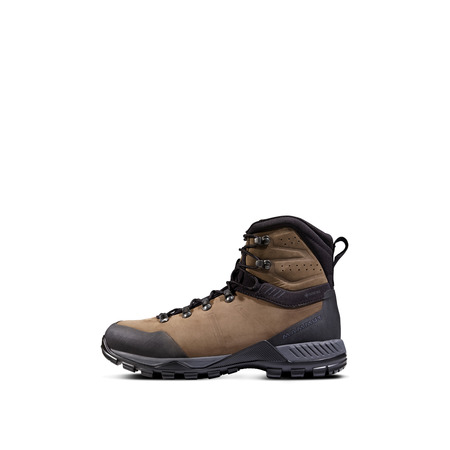 With the specially designed vibram® sole, the Ducan High GTX® Men will bring you outstanding grip on uneven terrain in the world of nature and the mountains.